Nearly six-and-half years since he last played a Test match, speedster Ashish Nehra is ready to make himself available for the longer version of the game. Hopefully, he says, it will be during the upcoming Test series in South Africa in December. "I had never said that I will not play Test cricket again. It was just that initially after my comeback I wanted to concentrate on ODIs and Twenty20s. "Now that I am back in the national side for one-and-half years, I feel confident of making a comeback to the Test fold. 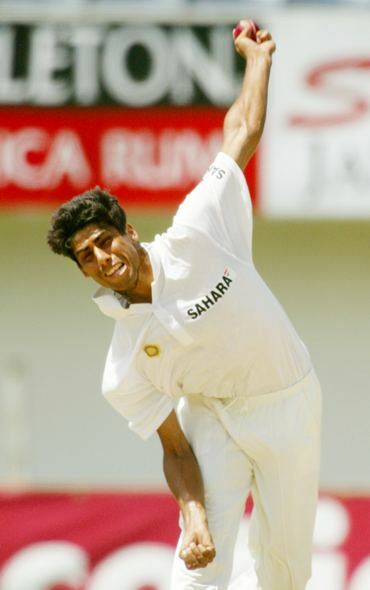 I will like to make myself available for selection during the South Africa Test series," Nehra said on Tuesday. The senior pacer, who last played against Pakistan in Rawalpindi in April 2004, has 44 wickets from 17 Tests, apart from 146 scalps from 108 One-Day Internationals. He will be travelling to the National Cricket Academy to continue a strict fitness regimen as he is not playing in the Test series against New Zealand. "I am planning to play one Ranji Trophy [match] for Delhi before the New Zealand ODI series to check how my body is holding. I am enjoying my cricket at the moment and I don't see any reason why I can't make a comeback," the 31-year-old Nehra said. What has given Nehra confidence is the fact that since he made his comeback against the West Indies in 2009 after India's T20 debacle, he didn't miss a single match due to injury. "For me the top-most priority is the World Cup next year. That is why I have been so choosy about playing in the longer version. But after the World Cup, there is lot of Test cricket to be played, as India would be playing against England, West Indies. "I will like to again play Test cricket with the same intensity that I used to at the start of my career," he said. The Delhi speedster's availability is good news for another senior-pro, Zaheer Khan, who at times lacks support from the other end, both Ishant Sharma and Sreesanth being erratic at times. "Although I have enjoyed a good phase during 2002-03, I am also enjoying this phase as I have been injury-free. I have been bowling well and training hard. 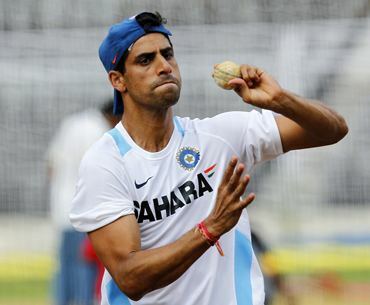 So things look good at the moment," Nehra said. Asked which is better -- Sourav Ganguly's team or Mahendra Singh Dhoni's, he refused to make comparison. "Each side had its share of strengths. That was a great side under Sourav and this side under Dhoni is also showing tremendous results. "It helps when you are winning, as you start enjoying the game," Nehra concluded.